Hifi CD Players at the Best Price! One of the main parts of any home music systems is the Hifi CD Player. This will be the work horse of your system and will supply you with countless hours of your favourite music. Therefore, the selection must be careful and we’ve built a section to help you with just that. Choose from the simple and stylish Hifi CD Player to the versatile 5 Disc CD Changer. We have Hifi CD Players, and also PA Sets, ready for free delivery just a few clicks away. Whatever your budget is, we have cheap Hi Fi CD Players and top of the range CD Player seperates. Our CD Players for Hifi will seamlessly join the rest of your home system or will be the perfect first piece around which your system will grow. A Hifi CD Player is still the best and most simple way of listening to music at top quality, at the same time some of the Hifi CD Players from our selection also include the ability to read CDs in various formats, including a front panel USB ports to read music from all sorts of USB storage devices while others double up as DAB Internet Radio Receivers. 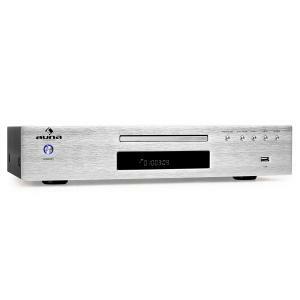 Choosing your Hifi CD Player could be a daunting task but we’ve made it simple for you by creating an all round section that includes Hifi CD Players for virtually any use. 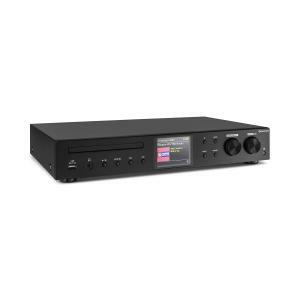 Hifi CD Player entry level users can choose cheap but versatile Hifi CD Player with the added bonus of multiplying as a USB device player and the possibility of being connected to an amp using the coaxial and optical outputs. 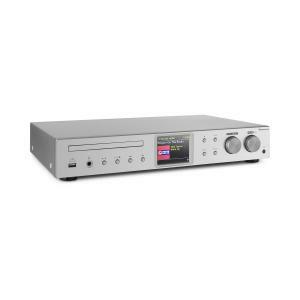 At the top of the range of Hifi CD Players we stock audiophile models that multiply as a Hifi receiver with internet radio, DAB / DAB + and FM radio and RDS support. When considering your purchase of a Hifi CD Player, or iPod Docking Stations, keep in mind that one of our experts will be at hand to help. Also, if you need advice on some condenser microphones, just get in touch with Hifi Tower.